Aga Khan IV 13 December 1936 British Prince Aly Khan Joan Yarde-Buller Business magnate Business magnate, he has held this position of Imam, under the title of Aga Khan IV, since 11 July 1957. 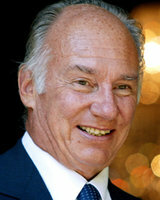 Aga Khan as one of the world's ten richest royals with an estimated net worth of US$800 million (2010). He is unique among the richest royals as he does not rule over a geographic territory. A list of popular Hindi Aga Khan Iv quotes are given below.